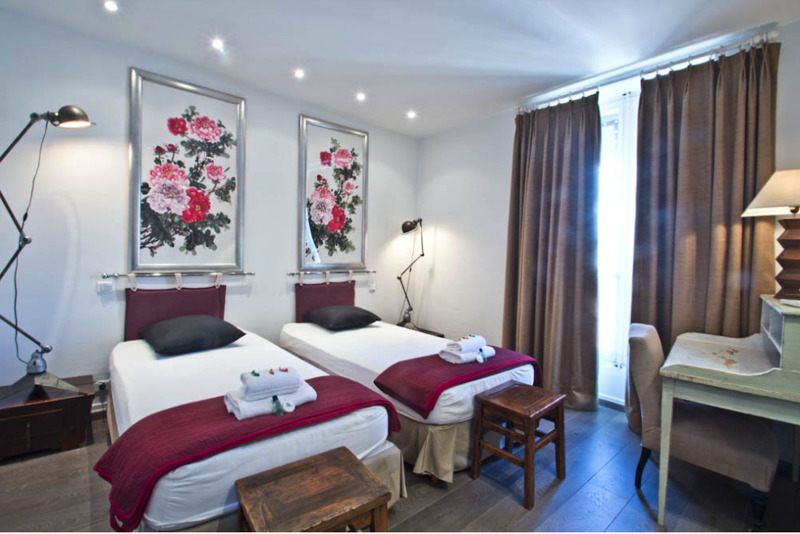 This gracefully decorated 2-bedroom Cannes group accommodation is located right across the street from the convention centre, The Palais des Festivals et des Congrès, and ideal for event attendees. 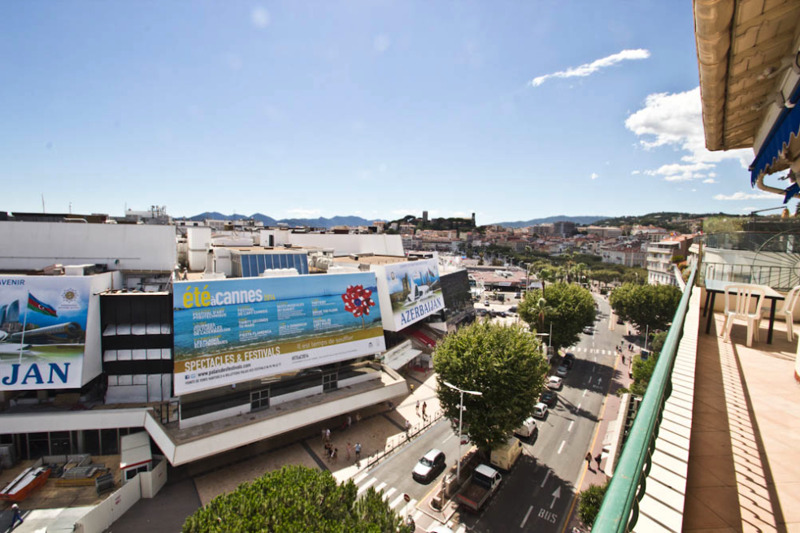 Staying in Cannes city centre is of the highest importance for anyone attending a conference or festival. 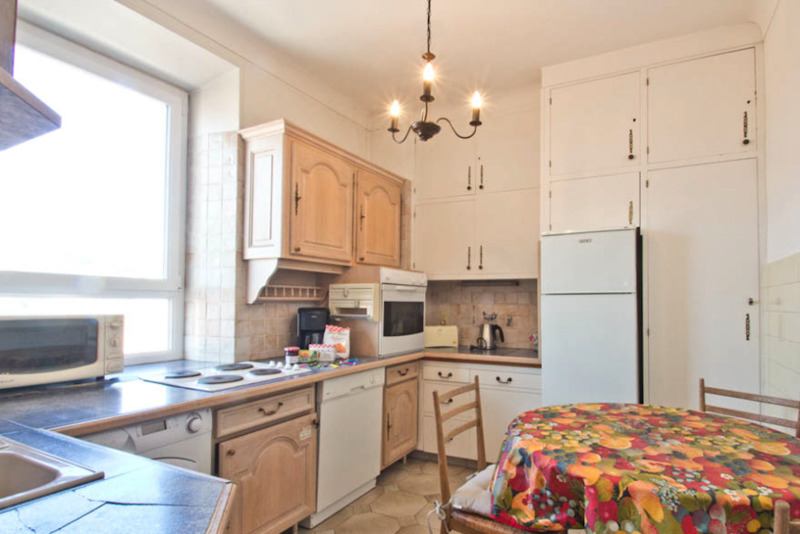 The closer to Le Palais, the better, and this rental apartment is about as close as it gets. 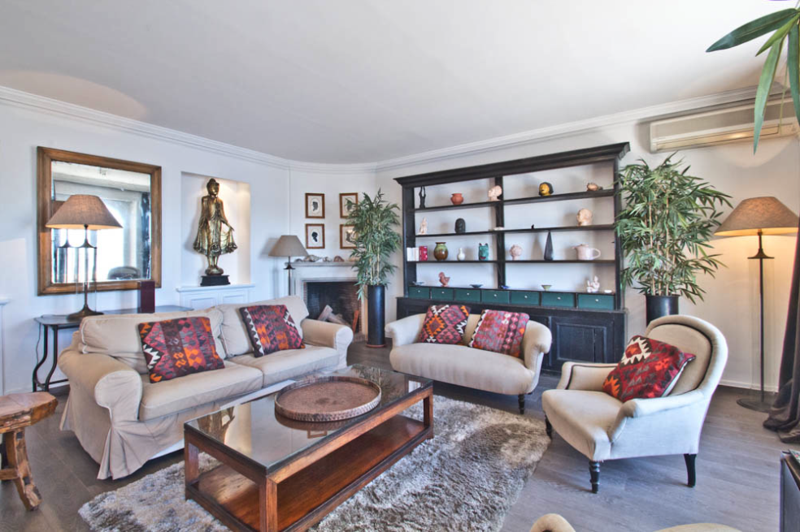 It features a bright living room which can also be used for meetings and a fully equipped kitchen to make sure your stay is as comfortable as possible. Imagine waking up and having a quick group breakfast, as well as sharing your team lunches or dinners and go over the day's events with your colleagues. 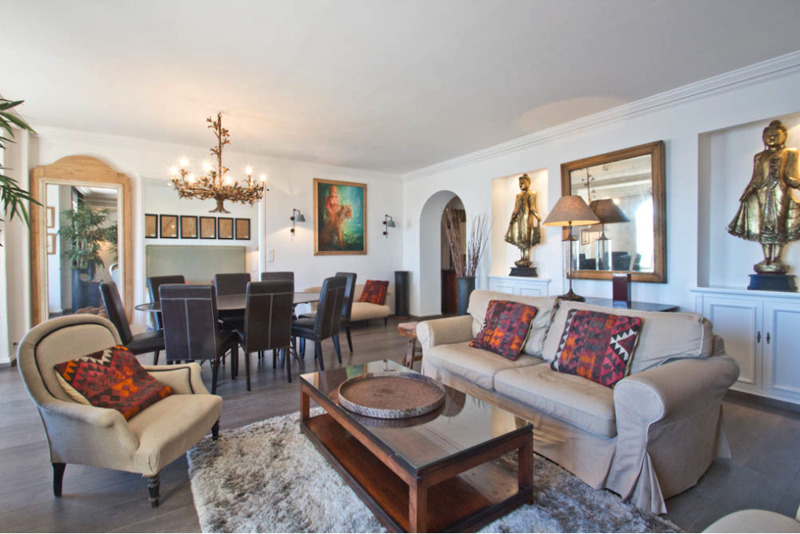 The rustically-styled furniture with hints of brown, orange, and russet all attribute to the warm atmosphere that the living room offers. 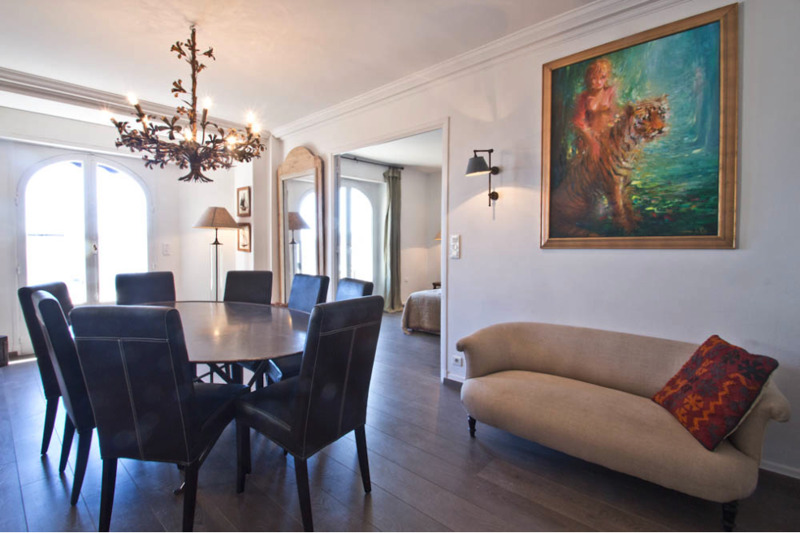 The eclectic artwork and statues enhance the attention to detail that has been paid in order to furnish this unique Cannes rental accommodation. 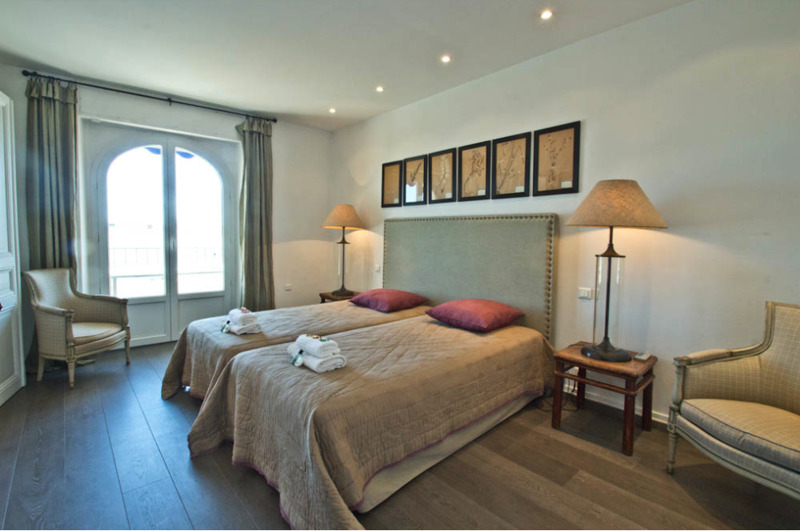 The two bedrooms in this apartment feature 2 single beds each, make a total of 4 beds as well 1 sofa bed, allowing for a team of 5 people to sleep comfortably. 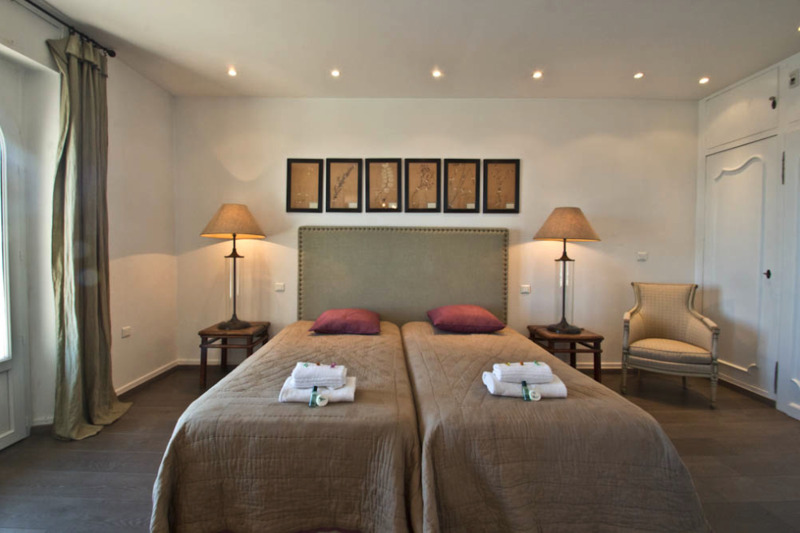 These beds can be pushed together or separated, based on preference and sleeping arrangements. 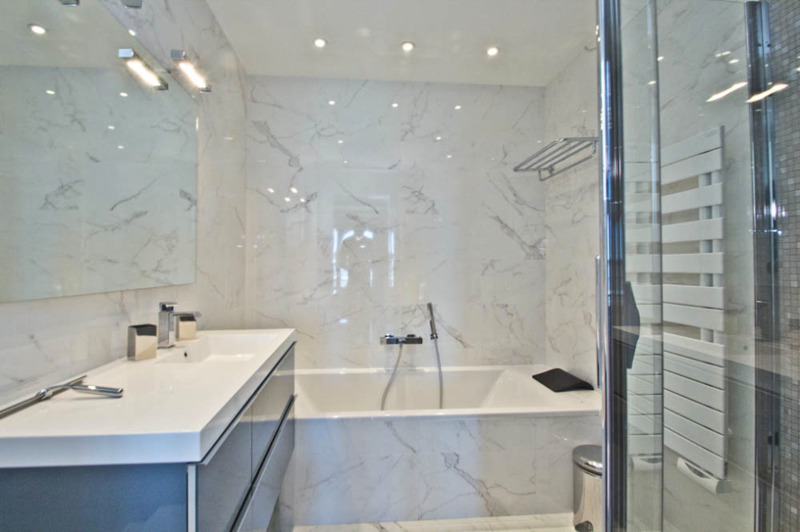 One of these bedrooms offers an ensuite bathroom for extra convenience, complete with a marble bathtub. The second bathroom is independent with a shower. 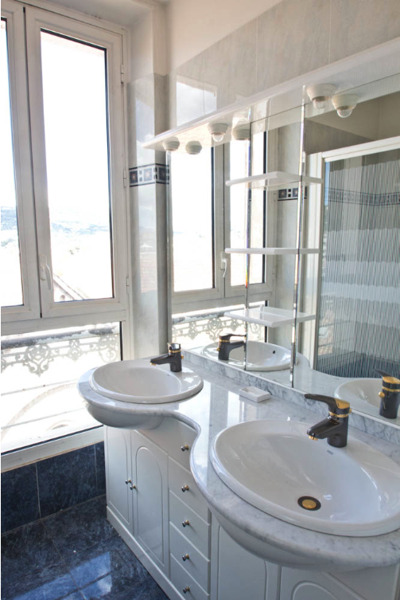 Other useful amenities include a washing machine, TV, air-conditioning, internet and an elevator. 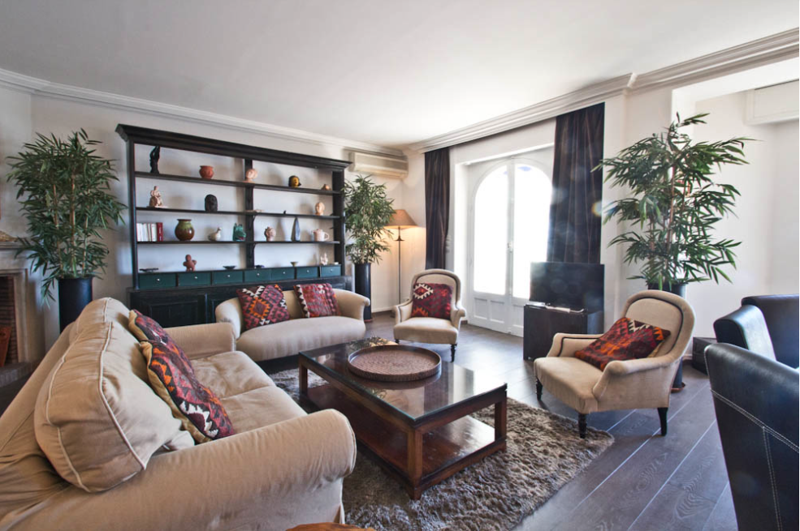 Make the most of your next trip to Cannes and enjoy this ultra-central group rental apartment.